Ikea is a blank slate. 1. Gild your Malm dresser with gold contact paper. See how to apply contact paper to this dresser's frame on Preciously Me. 2. Hot-glue a Sanning plate on top of a Blomster candlestick for a lovely cake stand (or a fruit stand, if you're weird like that). See it on Boxwood Clippings. 3. Unite the Hilver tabletop with the Alex drawers for an inspirational work desk and tons of storage space. See more details on Desire to Inspire. 4. Or stack two Hilver table tops on a few Finnvard trestles if you work better together. See decoration ideas on The Everygirl. 5. Colorblock your Lack side table with spray paint. That side table has really been LACKing something, huh? Learn how to make it on Kristi Murphy. 6. Turn a Tingby into a game table. Paint it with chalkboard paint for endless doodling or make some checkerboard pieces out of mason jar lids for a game that lasts all day. See the Lego table on The Decorated Cookie. 7. Hang a Mosslanda picture ledge if you don't have room for a nightstand. See it on Coulda Woulda Pica. 8. Refashion a Hultet bowl into a suave little lampshade. See the (bloody brilliant) tutorial on Kristi Murphy. 9. Gather your excessive nail polish collection with Bekväm spice racks. Not only will this make your home feel like a salon, but it's a good idea to store your nail polishes upright so that the tops don't stick. See the spice rack DIY on This Mom's Gonna Snap. 10. Turn your Fjellse into something you can actually pronounce: an upholstered bed frame. This DIY is not for the fainthearted. It is for the passionate. Read the whole story on Manhattan Nest. 11. Or transform your Lack headboard into one with some spice. Stain or paint wood planks and nail them to your headboard. 12. Lift your Karlstad sofa with a new set of legs. In fact, help out all of your Ikea furniture with a set of Pretty Pegs that are specifically designed to fit. 13. Store a variety of cleaning supplies in your Variera plastic bag holder. Even Ikea appreciates a good Ikea hack. See four more here. 14. Paint the ribs of these Ribba frames for a light pop of color. Just don't forget to prime. See how to paint your frames on House of Jade Interiors. 15. Make your Vittsjö victorious with a coat of paint and a layer of contact paper. Learn how to make it on Hunted Interior. 16. Attach a wood panel to the top of a cabinet to make your Bestå look its best. Get step-by-step instructions (that are less confusing than those that come with your Bestå) on Sugar and Cloth. 17. Stain your trusty Bekväm stool to give it an extra leg up. 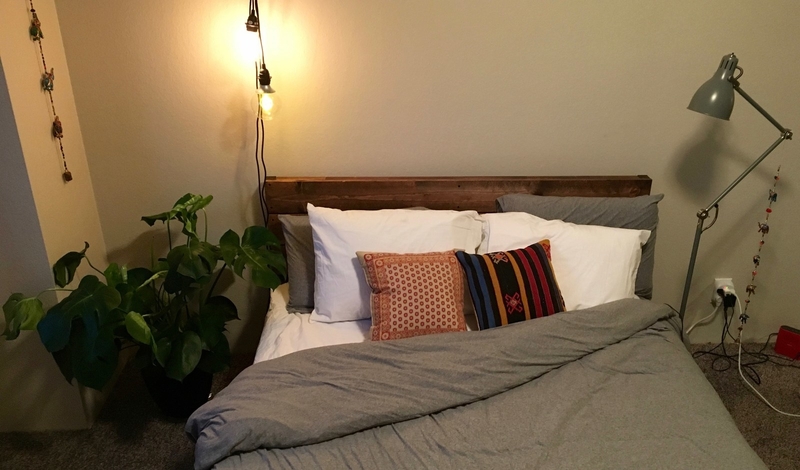 Remee Patel tried five different Ikea hacks on BuzzFeed while hungover. If she can do it, you can too. 18. Attach a Balungen rail so you never need to hunt for the right lid again. Long story short, they're the perfect shape to hold your pot lids. See more smart kitchen hacks on Apartment Apothecary. 19. Suspend a Botaren shower curtain inside your windowsill to make sure your herb garden gets enough light. Learn how to put together this easy kitchen herb garden on Jill M.
20. Elevate your computer for a highly necessary ergonomic upgrade with a Lack shelf and the Lansa handles. Your monitor should be at eye level so you aren't craning your neck. Check out five more ergonomic adjustments you should be making to your desk here. 21. Ditch the stubby legs on your Lack coffee table for a set of these bad boys. See how to get the snazzy look on Triple Maxtons. 22. De-muck your mudroom with Stuva storage benches. Learn how to assemble the mudroom on The Mombot. 23. 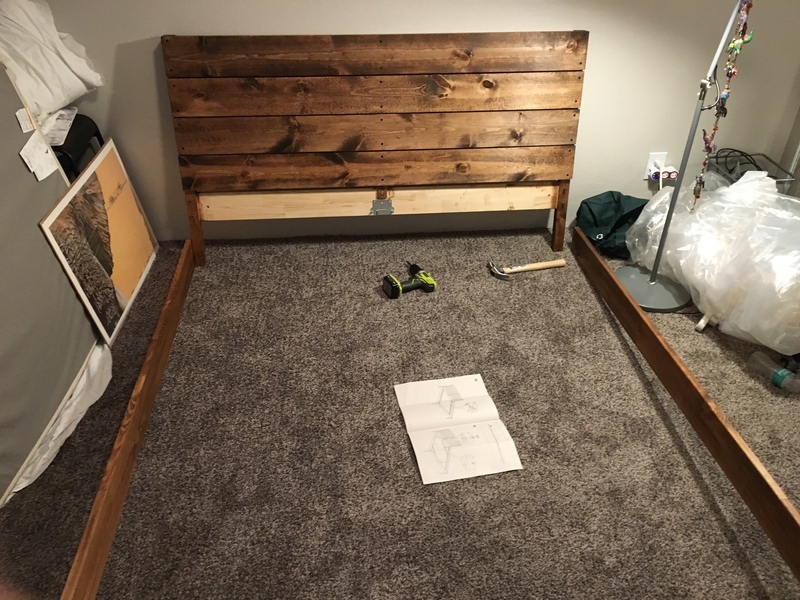 Stick some Stikwood to your Malm headboard. See how to do it on Sugar and Cloth. 24. Fill Plastis ice cube trays with gelatin, body wash, and soap dye to make pretty shower jellies. Watch the tutorial on Top Knot. 25. Wallpaper the panels of your kid's Kura bed. See this crazy kid's room on The Jungalow. 26. Apply some stitch witchery to turn an Elly dish towel into an apron so the little one can help you cook without making a mess. Go to Say Yes to learn how to make this no-sew kids' apron. 27. Glue together a few Knagglig crates for a cheap bookshelf. See the video tutorial on BuzzFeed's Nifty. 28. Attach a towel rack to the side of your Bekväm kitchen cart. Obviously you've gotta do a bit more painting and primping to make your kitchen cart look this fancy, but the towel rack is the quickest, most functional adjustment here. See it on Oliver and Rust. 29. Hang a Bittergurka hanging planter as a diaper caddy. Ever needed to open the diaper drawer with poop on your hands? Yeah. That's why. See it on Vintage Revivals. 30. Liven up an Osted rug with a patterned coat of paint. Learn how to get the pattern on Super Super HQ. 31. Hang a Mandal headboard in your tiny room for something that's decorative and storage-friendly. The headboard is very long, so if you sleep against a wall, it will fit more appropriately on the side. See the rest of this Ikea-made teeny teen room on We Are Scout. 32. Dye a Toftbo bathmat to add a splash of color. To learn how to mix your shibori dye and fold your rug, go to Jojotastic. 33. Personalize your Väckis alarm clock with washi tape. See the project on Tell Love and Party. 34. Use an Ekby shelf as an excellent vanity. See it on Yellow Brick Home. 35. Adorn a Tranby mirror with some spray-painted Smycka branches to get the coveted starburst look. You could also spray-paint dowels if your style is less wild. Watch the tutorial with Julia Graf. 36. Hang your Luröy bed slats vertically for a coat rack that accommodates all sizes. See it on Ikea Hackers. 37. Cover a Vågsberg chair in your favorite fabric so that your legs aren't sticking to plastic. See how to make it on Little Green Notebook. 38. Give the Sektion credenza a Hollywood flair. It might take a bit of extra work, but you will be living in La La Land once it's done. Watch the dream come true on A Beautiful Mess. 39. Draw patterns on 365+ bowls with porcelain paint pens. See this project on Fellow Fellow. 40. Turn a Fado lamp into your snuggliest buddy. Get the tutorial on Sirlig. 41. Turn up a Trampa with some spray paint. See these mats on The House That Lars Built. 42. Level up by making toadstools with the Mammut and contact paper. Learn how to make it on Pink Stripey Socks.